At SEMI-STAAL, we are constantly looking for smart solutions to simplify cleaning and handling processes, because we believe in making it easy for our customers to meet hygiene standards and automate workflows. In collaboration with The SonoSteam division at FORCE Technology, the SonoSteam decontamination technology has been integrated into our disinfection solutions. 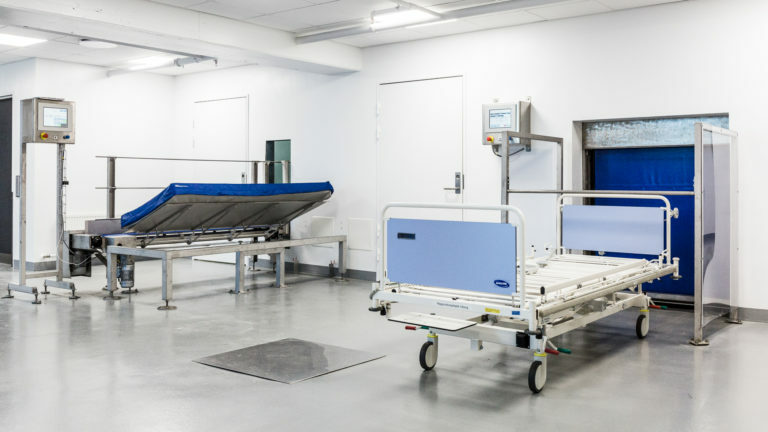 In decontamination of contact surfaces such as crates and hospital mattresses, the technology proves a significant reduction of microorganisms within a few seconds and without the use of chemicals.